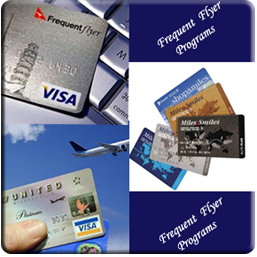 Frequent flyer programs were initially started by American Airlines in 1981 as a reward for passenger loyalty and to motivate travelers to patronize the same airline for all air travels. The concept gained in popularity and seeing its remarkable success, all airlines followed suit. The purpose behind frequent flier programs was to attract business particularly from the business travelers and company employees. These frequent flyers could accumulate points by using the airline and related facilities like hotel accommodation and car rentals. The points thus gathered could be used to upgrade seats or to transfer to family members and friends for free tickets. What basically started as an allurement to capture increased business are now costing the airlines in excess of six billion dollars a year and the airlines are now finding it difficult to withdraw the scheme. The pity is this huge financial burden is passed on to the other fliers and they have to pay dearly for air travel. Avoid switching airline carriers particularly when on long distance flights. As a rule, your air miles are not transferable and no airlines will permit you to transfer your miles from one airline to the other. If you stick to a single airline you will be able to rapidly gather more frequent flyer miles. Please be aware that every airline has its own frequent flyer miles expiration policy. Many travelers zealously accumulate abundant frequent flyer miles, - only to see them go waste by not utilizing them within the validity period. Remember you can earn mileage while buying groceries, shopping, or even when incurring the tuition fees of your child’s education. To avail this, you must link your frequent flyer mileage program to an airline credit card. Most fliers fail to do this presumably due to lack of awareness. It is not uncommon for airlines to offer you mileage when you shop online. Several airlines including American Airlines offer mileage provided you shop online from designated stores. There are quite a few airline carriers that offer you mileage when you eat at restaurants that participate in their mileage program. Ascertain the relevant details to take advantage of these specialty programs. You can gather plenty of extra mileage if you use your credit card to take advantage of the other mileage programs - like shopping online or eating at a participating restaurant. In fact, these will fetch you almost twice the mileage. All airlines often come up with bonus programs that can be advantageous to you. Many airlines offer you additional mileage for traveling to specific destinations or traveling along a certain route. Miss not to register yourself with such programs as you may then be able to accumulate more miles for regularly scheduled travel. Never consider receiving e-mails from airline carriers as a nuisance and delete them without reading or opt out of receiving them. Several of these e-mail messages may pertain to frequent flyer benefits. While flying to a certain destination you should meticulously calculate how many miles it will generate for you. You can easily ferret out the details from the website of your airline carrier. This is important as it is your responsibility to keep track of the miles that you generate to avail the benefits of frequent flyer miles. If you have been regularly traveling in economy class, it is time you check up the possibility of upgrading to business class flight. By keeping regular check, you will know how many miles you have to travel to move up to that higher status. It is evident that there are many mistakes that frequent flyers commit and these mistakes can seriously impair your points balance. Be guarded and desist from making these mistakes so that you are able to fly when you want and enjoy optimally all the benefits available to a frequent flyer.